DEPCOM Power has been named #1 on INC magazine’s annual Vet50 list—a compilation of the nation’s fastest growing veteran-owned businesses. The ranking, created in partnership with Inc. magazine and the Institute for Veterans and Military Families at Syracuse University (IVMF), was born out of the iconic Inc. 5000 list of the fastest-growing private companies based in the U.S. Both distinctions are considered hallmarks of entrepreneurial success. 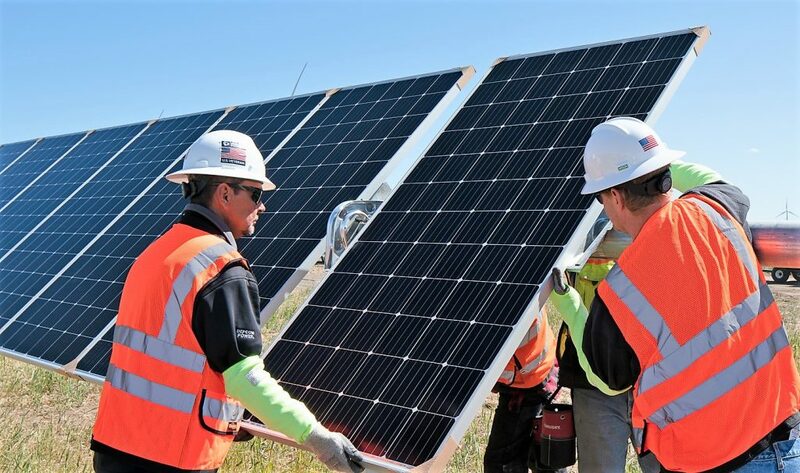 Founded in 2013, DEPCOM Power designs, builds and operates utility solar plants across the U.S.A. and currently employs a workforce of 1,400 Americans. In addition to hiring veterans, DEPCOM also gives 10% of net income to charitable organizations, with a strong focus on donations to veteran charities. To date, DEPCOM G.I.V.E.S has donated more than $3.6 million to charities across the project communities where they build solar plants. “Veterans bring an incredible array of knowledge and skills to the world of business. Inc. is proud to join in honoring the valuable contributions these leaders make to their communities and to the American economy,” says James Ledbetter, editor, Inc. magazine and Inc.com. The Vet50 list will be celebrated on Saturday, March 2, 2019 in Dallas, TX, at the Vet50 Awards dinner during the IVMF Veteran EDGE national conference (February 28 – March 3, 2019). EDGE is the first-of-its-kind coalition of large companies supporting the success of veteran-owned businesses, connecting them with entrepreneurial education, training, resources, and networking opportunities.